From the best tradition of italian pastry chefs MATRIX developed the new range of MASTERCREAM bain-marie electric cream cookers. 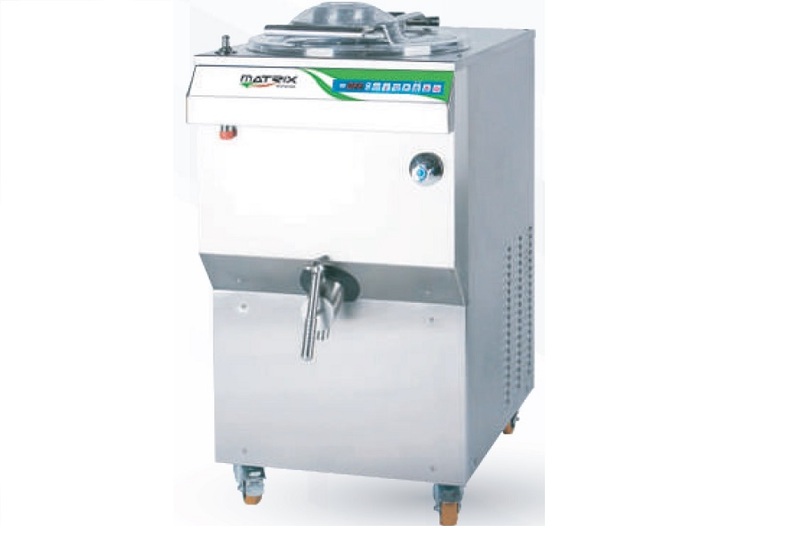 MASTERCREAM is a range of multifunction equipment with personalised functions for the preparation of custard, ice cream mixtures and different sauces, syrups, chocolate mixtures, sweets etc. The heat treatment is carried out through a glycol pump system, which both heats and cools the product by spreading across the tank's total surface. This allows the temperature difference between the glycol and the product to remain within a few degrees centigrade while leaving the mixture's organoleptic characteristics virtually unaltered. 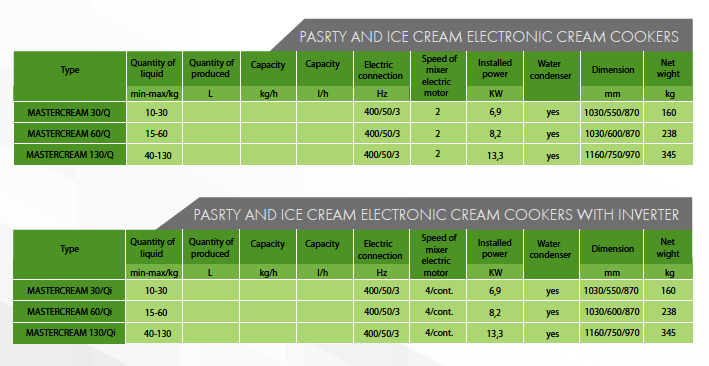 An electronic microprocessor allows the professional ice cream maker to choose between automatic and personalised programmes. Automatic storage of the most recently used settings. In the case of a power failure the settings on the microprocessor will not be lost. Once the power supply has been restored and provided time and temperature parameters have not altered hygienic conditions, the programme will continue its cycle from where it had been interrupted, otherwise, the problem will be indicated by a sound and a light signal. Exceptionally simple use and maintenance. A newly designed heat-proof sealing top with hydraulic pistons for dampened opening and closing, allows for the secure opening at central tank level to introduce necessary ingredients at specific temperatures during the course of a personalised or automatic cycle.